'Christopher Hitchens... at his characteristically incisive best.' --The Times Thomas Paine is one of the greatest political advocates in history. Declaration of the Rights of Man, first published in 1791, is the key to his reputation. Inspired by his outrage at Edmund Burke's attack on the uprising of the French people, Paine's text is a passionate defence of man's inalienable rights. In Rights of Man Paine argues against monarchy and outlines the elements of a successful republic, including public education, pensions and relief of the poor and unemployed, all financed by income tax. 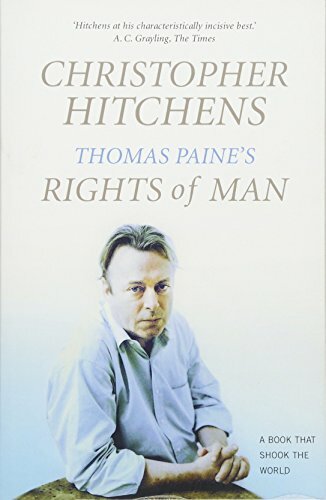 Since its publication, Rights of Man has been celebrated, criticized, maligned and suppressed but here the polemicist and commentator Christopher Hitchens marvels at its forethought and revels in its contentiousness. Above all, Hitchens demonstrates how Thomas Paine's book forms the philosophical cornerstone of the first democratic republic, whose revolution is the only example that still speaks to us: the United States of America.